The application period has closed. Best of luck to everyone who applied. We look forward to celebrating the winners at the Fall Meeting and Awards Ceremony on November 14th. 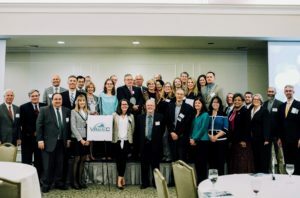 The Virginia Energy Efficiency Council is happy to announce that we will be holding our third annual Virginia Energy Efficiency Leadership Awards Ceremony on November 14th in conjunction with our Fall 2018 Meeting at the University of Richmond. The awards are a chance to showcase how energy efficiency champions across the Commonwealth are helping businesses, governments, homeowners, and schools save money on energy bills while reducing energy consumption – all while stimulating job growth and our economy. The application period will run from Monday, July 9th to Wednesday, October 3rd. Before submitting an application, please read the following sections. The link to the application is at the bottom of the page. We encourage applicants to provide as much detail as possible. Projects and programs will only be graded based on the information provided in the application. Incomplete applications will not be considered. Click here to view Henrico County’s winning application from 2016 to view the level of detail the Selection Committee will be looking for. Scorecards will be used to grade each project and program on the same merits. You can view the scorecard here. What should we expect at VAEEC’s Third Annual Awards Ceremony? Last year we received nearly 50 applications for our Second Awards Ceremony and we anticipate more this year. The awards will highlight projects or programs that are making strides to enhance energy efficiency within the Commonwealth. Applications will be categorized by the sector that they serve (academic, commercial, government, low-income, residential, other). The application process closes Wednesday, October 3rd. The Selection Committee, which consists of VAEEC members from different sectors, will be responsible for scoring all applications. In early October, the Selection Committee will review applications to discuss criteria and our nominees in each category. Since our goal is to showcase as many projects and programs as possible, and show how much work is going on in Virginia, the Selection Committee will choose a 1st, 2nd, and 3rd place winner for each category. The nomination application process seems simple. Is that all you want to know? Yes, we researched what other awards applications looked for and they are very similar. We are requiring a 200-word maximum summary, to be written in the third person, and will be looking at the project or program’s projected or realized energy savings or impact. Additional points will be awarded for innovation and creativity and the degree of difficulty in overcoming challenges. To better assess what the Selection Committee will be looking for, you can view the scorecard and an application from one of our 2016 award winners. Do the specific projects or programs have to be in Virginia? The implementing entity can be located out of state, but the project or program must be in Virginia. Is there a minimum requirement for how long a project has been completed? What does the Selection Committee process look like? 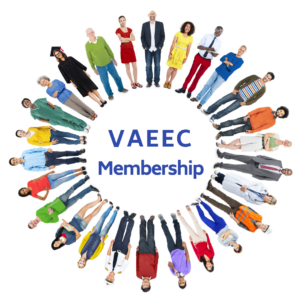 VAEEC staff will package applications for the Selection Committee to review once the application process closes on October 3rd. The Selection Committee will convene two meetings: one in early October and one in mid-October. Scorecards will be used to grade each project and program on the same merits. The Selection Committee will discuss scores and choose winners. VAEEC staff will then reach out to award winners in mid-October to make sure someone from the organization can attend the Awards Ceremony. All applicants will be notified as to whether or not they have placed by October 24th. Can Selection Committee members submit applications? Each Selection Committee member will be responsible for grading applications within a certain award category. Members are allowed to submit an application; however, they will not be allowed to view or grade any applications within the sector they applied for. When will you notify the winners? We will notify winners that they have placed by October 24th. The Awards Ceremony will take place at the University of Richmond Jepson Alumni Center on November 14th during the lunch portion of the VAEEC biannual member meeting. We want this to be a networking atmosphere where energy efficiency industry representatives can celebrate our collective efforts in the energy efficiency field. We are looking for sponsors for the full day. Sponsorship opportunities can be found here. Award winners and nominees will be able to sponsor the event if they so choose. Does it cost money to submit an application? All projects or programs must be in Virginia, but implementing entities can be from out of state. Have a project or program deserving recognition? Self-nominations are accepted. If I applied last year, can I reapply this year? Applicants who did not place 1st, 2nd, or 3rd place in 2016 or 2017 may reapply. Winning projects or programs (1st, 2nd, or 3rd place) from 2016 and 2017 cannot reapply. A winning entity may reapply, but they must highlight a different project or program. Can the same entity submit multiple applications? There is no limit to the number of applications an entity can submit. However, note that each submission should be for a different project or program offered in Virginia. Does it cost money to attend the awards ceremony? There is a registration fee to attend the Fall Meeting and Awards Luncheon. However, awards winners will receive two complimentary registrations. Be sure to register for the event by October 29th. 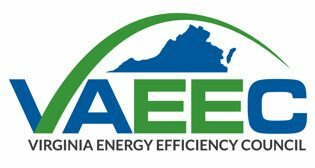 Overall, the purpose of the Fall Meeting and Awards Luncheon will be to raise awareness for the Council and to celebrate energy efficiency efforts in Virginia. We are excited to showcase the work you all have done in the state. 1st place winners will receive a glass award, while 2nd and 3rd place winners will receive a paper certificate. All winners will be provided with a press package, which will include a Virginia Energy Efficiency Leadership Awards badge graphic, press release template, and a copy of VAEEC’s press release. All nominated projects or programs must be in Virginia, but implementing entities can be from out of state. Nominated projects must already be completed, and nominated programs must already be offered. Applications must include a 200-word maximum summary, to be written in the third person, and include the projected or realized energy savings or impact. Winners will be required to attend the Awards Luncheon on November 14th to accept their award. Additionally, we encourage all winners to display the Virginia Energy Efficiency Leadership Awards badge on their website and/or social media pages.